Why would I need self storage in Petersburg, VA? There are a variety of reasons why you might need self-storage in Petersburg, VA.
How much is a storage unit in Petersburg, VA? The cheapest storage unit in Petersburg, VA is $57.00 per month. What size storage units do you have available in Petersburg, VA? In Petersburg, VA we have sizes that range from 5'x5' to 10'x40' to suit your storage needs. How much is it for a 5'x5' storage unit in Petersburg, VA? The cheapest 5'x5' storage unit in Petersburg, VA is $75.00 per month. Petersburg is a midsize city in eastern Virginia, part of the state's Gateway Region and serves as a major transportation hub. It's conveniently located at the junction of Interstate 85 and Interstate 95, offering access to many other areas of the state. Over the years, Petersburg has been an important historic city, witnessing major events of the colonial era, the Civil War and the civil rights movement. As a city that has seen human settlement dating as far back as 6,500 B.C., Petersburg is home to a vast collection of interesting historic sites. Pocahontas Island has been the discovery site of many prehistoric artifacts, tracing back to Native American tribes that called the area home. Throughout modern history, Petersburg has also been a major player in some of America's most pivotal events and eras. It was the site of the longest military event of the Civil War, which stretched over nine and a half months. 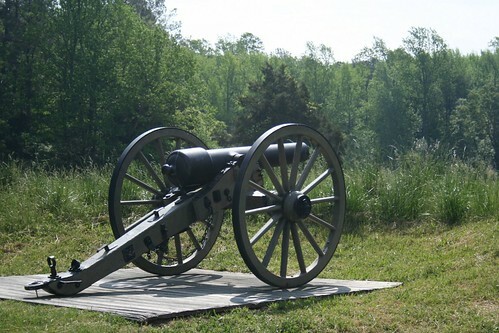 The city's role in the Civil War is commemorated at the Petersburg National Battlefield and the Pamplin Historical Park. Petersburg is also the site of two Baptist churches that are an important part of African-American history. Founded in the late 18th century, the churches are among the oldest in the nation. During the civil rights movement, the churches (and others in the area) played a leading role. Although Petersburg has a higher than average unemployment rate, job growth has headed in a positive direction. For many decades, the city has been a major hub of industry for the state of Virginia, a status it still maintains today. Major presences in the city include Titmus Optical, Amsted Rail-Brenco, Seward Trunk Co. and Arnold Pen Co.
Near Petersburg, a major distribution center for retailer Walmart provides local jobs, as does a large Amazon fulfillment center. You can easily travel to one of the neighboring communities to find a job that fits your needs and experience if there's nothing to your liking in Petersburg itself. Petersburg City Public Schools operates the public schools in the area. In addition, there are several charter and private campuses in Petersburg. The city is also home to a few small higher education campuses, including John Tyler Community College. Utilities: The city manages water and sewer services, while Dominion Power supplies electricity to the area. Garbage and Recycling: Recycling is collected every other week, while trash is picked up once a week on a specific assigned day. Extra trash that doesn't fit in your collection bin will need to be bags provided by Central Virginia Waste Management Authority. Transportation: Petersburg Area Transit facilitates public transportation throughout the city. Other transit agencies serving the area include Greyhound, Amtrak, Norfolk Southern and the Greater Richmond Transit Co.
Petersburg offers many budget-friendly homes to choose from, with a median price that's well below the national average. It's also more affordable than its big-city neighbor, Richmond. You can find a mix of new construction and established homes, ranging from cozy family homes to spacious estates. Our lowest priced units in Petersburg, VA average $66.00 per month. 99 people have reserved units in Petersburg, VA in the past 30 days. There are 2 locations within Petersburg, VA's city limits.